When this writer switched to a micellar shampoo, her hair immediately changed for the better. I had been using a supermarket brand shampoo and conditioner combo for a couple of weeks. I knew it was doing nothing for my hair, but my principles stopped me from throwing the duo away. The bottles were only half gone, however, when I had had enough. The heavy consistency was weighing my hair down and only making it look clean for a day. This hair cream is better than any heat protector I've used before. I absolutely hate having to wash my hair daily - it wastes water and produces more waste when you keep having to stock up on hair care. Also, I'm lazy, and my apartment is cold. That's not to say I can deal with greasy hair, however. When I wash my hair, I want it to last a couple of days. But, for someone with hair like mine, that's not the easiest of tasks. I am frequently told by hairdressers that while my hair is fine, I have a lot of it. It doesn't naturally look lank and drawn-down, but when it's loaded with product, it can look frizzy, fuzzy and oily at the same time. Not one shampoo suits all hair types, and we should really be choosing hair care in the same way we choose skincare or makeup. But what if you want 'healthy' hair, but also shiny hair? And voluminous hair? I also want to protect the colour and delay the return of the greys. The best thing to do is ask your hairdresser for advice - if you have a good one, they know your hair better than you do. But we can't always be spending money on professional or salon-approved hair products. I know I need a light-weight shampoo that will really clean my hair but not strip it, and I want a shampoo that will keep that clean feeling for a couple of days. That's where this combo comes in. 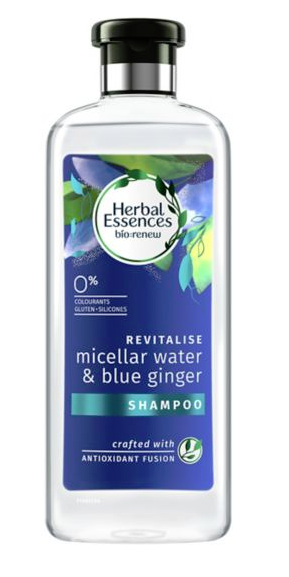 The micellar water range was developed to 'bring hair back to life', and, in my case, that's what it did. The shampoo contains micelles, the same ones that are in the skincare, that pick up dirt and grime to give the hair a gentle but effective cleanse. It's not a clarifier, though, so you can use it regularly and the conditioner helps with the hydration and moisture you may lose. The two products are full of antioxidants and free from colourants and silicone. Because they're lighter than regular shampoo and conditioner, they're safe enough to use on coloured hair, too. I left the half-used old shampers and conditioner in the shower in the hope that my husband would finish them off, but because the micellar water pair is so nice, he's ignoring the old stuff too. Hair feels so soft and smooth and silky and light after use. There is a slight scent, but it doesn't bother me. 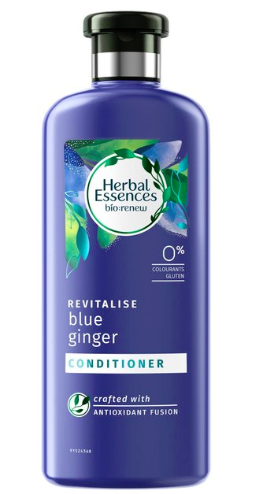 What supermarket shampoo do you swear by?